The Cornley Polytechnic Drama Society are putting on a 1920s murder mystery, but as the title suggests, everything that can go wrong… does! The accident-prone thespians battle against all odds to make it through to their final curtain call, with hilarious consequences. 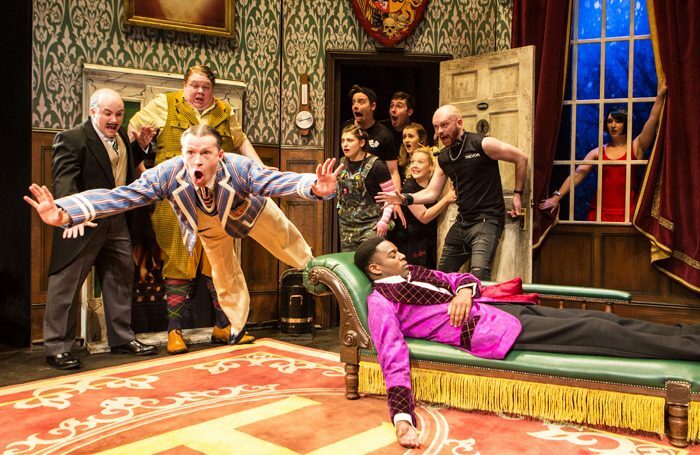 Now stumbling through its fourth catastrophic year, The Play That Goes Wrong is guaranteed to leave you aching with laughter. To win a pair of tickets to see The Play That Goes Wrong at Duchess Theatre, London, go to thestage.co.uk/competitions and enter your details and put GOESWRONG in the code box. Entries close at midnight on December 2. Terms and conditions: Subject to availability. Tickets are valid for all performances on Tuesdays, Wednesdays and Sunday until December 15 2018. Not to be used in conjunction with any other offer and no alternative offered. Travel not included. Non transferable. No cash alternative. By entering the competition you agree to your contact details being passed securely to a third party who will only use them for the purpose of this competition and to your name being published in The Stage newspaper.